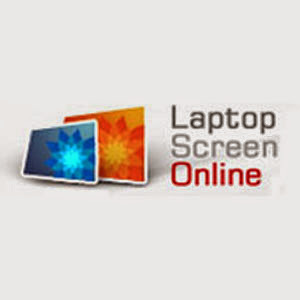 In this tutorial I will show you how to replace a broken, cracked or defective screen on Acer Aspire 5733, 5733Z, 5742G, 5749, 5250 laptop notebooks . The Acer Aspire 5733, 5733Z, 5742G, 5749, 5250 laptop series come solely with 15.6 HD LED LCD widescreen displays (16:9) with resolution of 1366 x 768. In this blog I will show you how to remove and change damaged screen of the Acer Aspire AS5733, AS5733Z, AS5742G, AS5749, AS5250 laptops and replace with a good one. Remove the laptop battery from the Acer Aspire series before starting the screen repair to avoid further damage. On the bottom sides of Acer Aspire 5733, 5733Z, 5742G, 5749, 5250 laptop series you wil find the screw covers made of plastic or rubber . Acer Aspire 5733, 5733Z, 5742G, 5749, 5250 bezel is very fragile and easy to snap so you must do this with care. Pull carefully but firmly to release it from the notebook. At this point the internal part of the screen area will be visible. From the top two sides remove the screw holding down the screen. You will also find three screws on the sides holding the screen tight to the hinges arms. Unscrew them and keep them safe. Place the screen face down after unscrewing and at this point the screen cable, connections and screen part number will be visible. The screen part number will look like B156XW02 V.6, LP156WH4, LTN156AT17, N156B6-L0B and others. In this tutorial you will learn how to disassemble and replace cracked laptop screen Dell Inspiron M5040, M5050, M5110, N5040, N5050, N5110 Laptop Notebooks. You can also use this instruction to fit a new screen if you have noticed your screen flickering or you can see defect lines on it. The Dell Inspiron M5040, M5050, M5110, N5040, N5050 laptop come with 15.6 inch HD WLED display monitor panel with resolution of 1366 x 768 Truelife display. The First and important thing is to remove the laptop battery before starting the replacement. Dell Inspiron M5040, M5050, M5110, N5040, N5050 and M5110 laptop mostly will not come with any screws in the bezel. All that is needed to remove the bezel is to put your finger between the screen and the plastic bezel and pull carefully until it released. Do this on all sides of the laptop. The bezel of the Dell laptops are very fragile and pulling too hard may snap it. So the best trick is to pull firmly but not too hard.